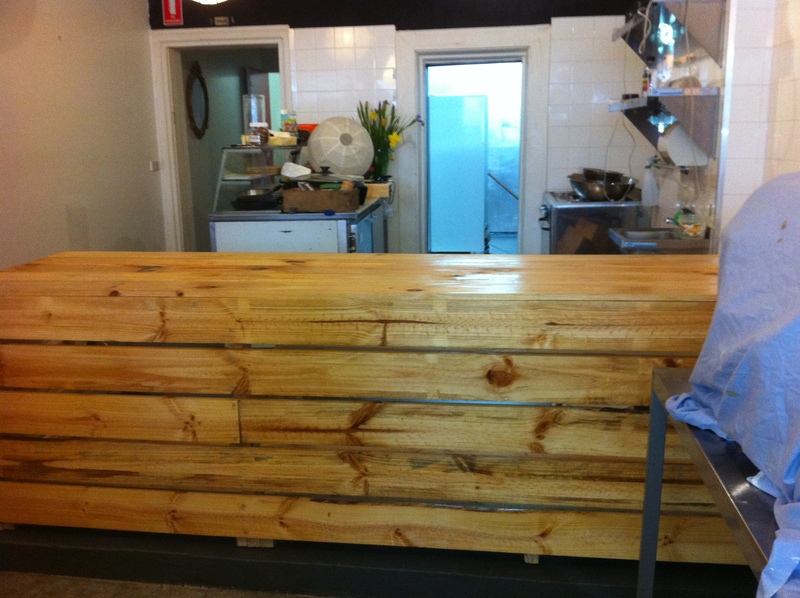 Cafes, Seafood and Winter Table love…. It’s been a very busy month for the NSF. 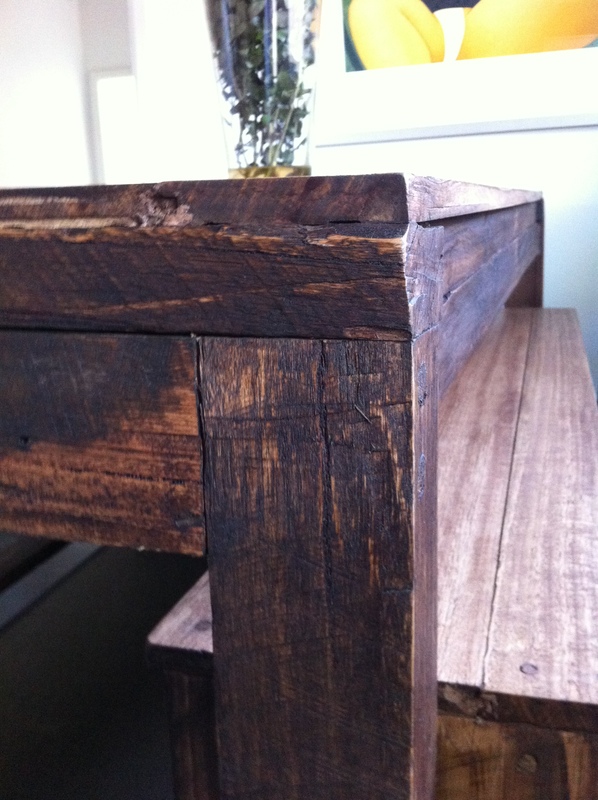 Aside from our usual table loving we have done some custom jobs for some new and great clients. 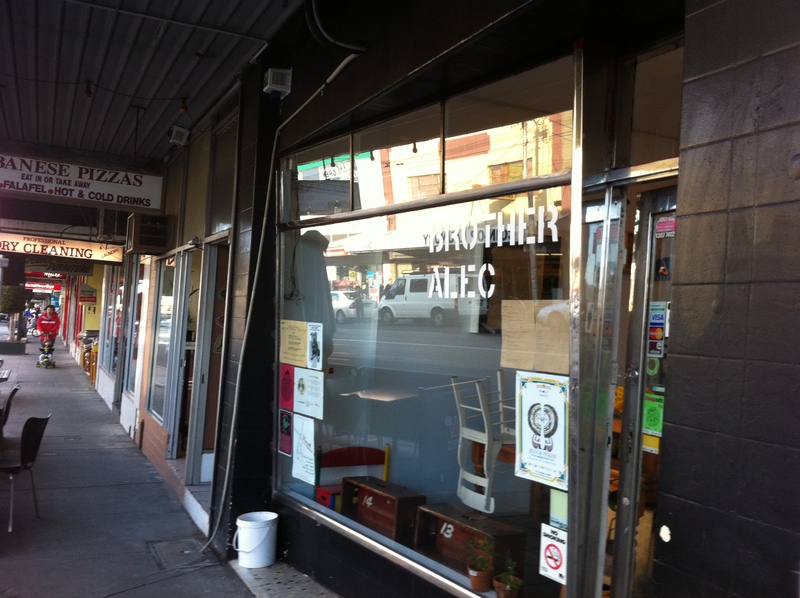 First off was this monster for “Brotha Alec” café on high st in Thornbury. This baby was one of the biggest we have ever done at 2.8 m long. The client wanted a crate style look that the café was trying to implement for the re launch opening. It needed to be custom fit and styled for the workstation area where the main coffee machine, ordering area and cash register would be held. 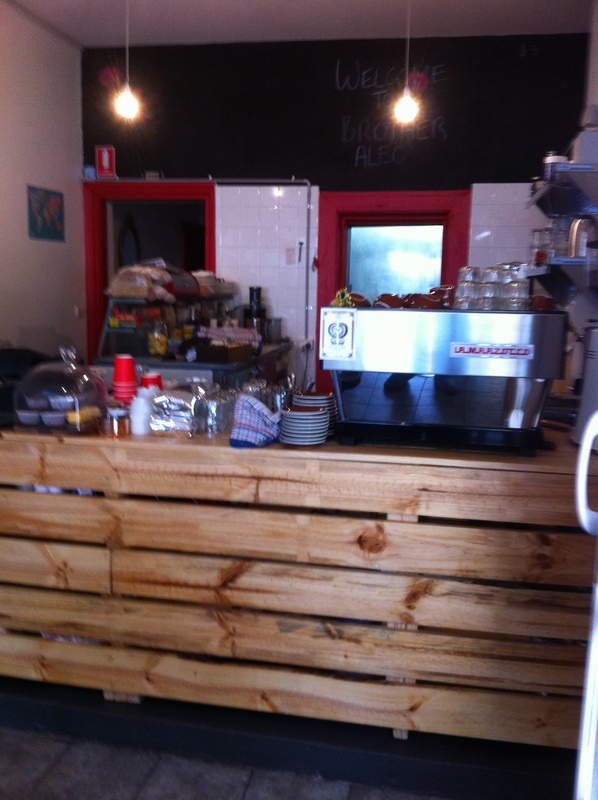 It was also a feature as it would be the main piece on entry into the café. I consulted with the client about adding shelves underneath and that was also implemented to take use of the maximum space that was now available. This piece was delivered on-time and custom installed into the concrete ground for maximum stability. 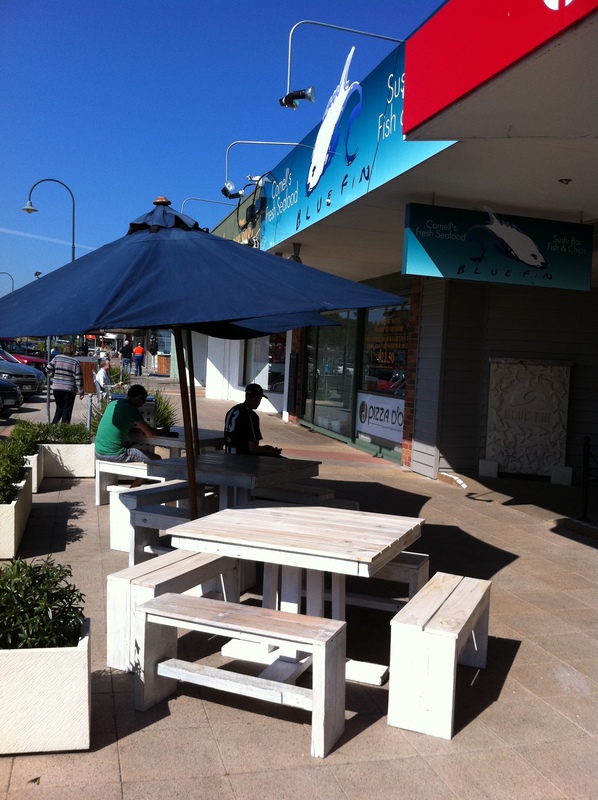 A new Bronte Chic Squared has found a new home at the Bluefinn Sushi Bar & Seafood eatery in the Morningtown Peninsula. The owner Jayne contacted me about the BCS Model she saw online and wanted to have two other replicas made for her beautiful eatery located in Blairgowrie. The two tables and eight small but stylish benches where turned around and delivered in 2.5 weeks. They now sit outside of the café greeting customers to the popular local eatery. If you are in the area be sure to stop in for a bite to eat and say hi to Jayne the owner from the NSF. Just a quick update on “The Bronte Bar”. This was an awesome table and bench set we had fun making. 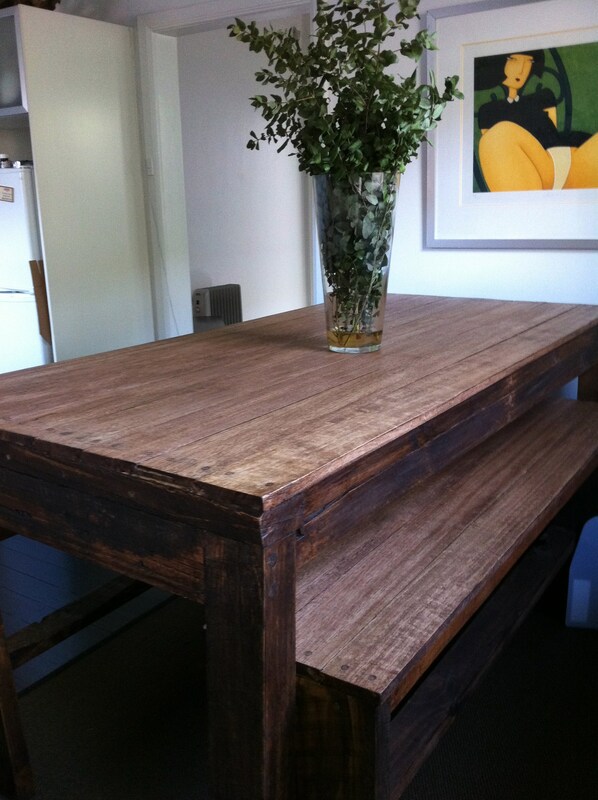 Our client had much praise for us as she wanted the height of an actual bar table for her beautiful home. We came up with the Bronte Bar. It follows the style of the Bronte Chic with Victorian Ash tops and a very chunky and rustic look. It’s finished off with a dark chocolate stain that goes well anywhere. The height was 100 cm high and 90 cm wide with benches at 70 cm high.